Container – Usually paper, cardboard, or plastic combined with string and formed into a cylinder. 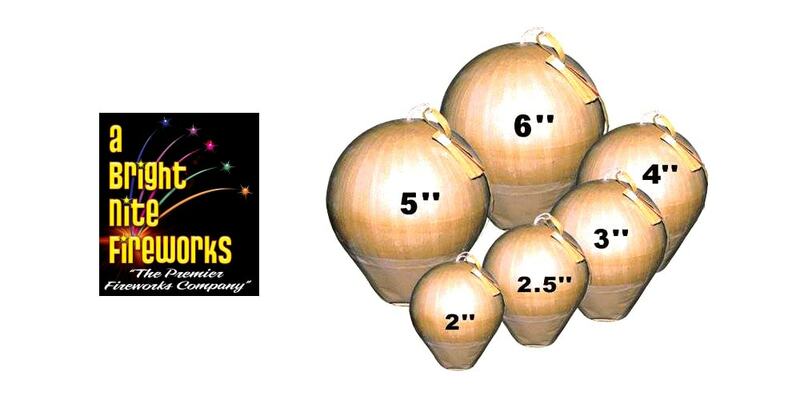 Stars – Spheres, cubes or cylinders made from special powder which are pressed or rolled. Bursting charge – An explosive charge at the center of the shell that causes the shell to burst open, with a flash and explosion. Fuse – Provides a time delay so the shell explodes at the right height. For more information contact A Bright Nite Fireworks HERE.